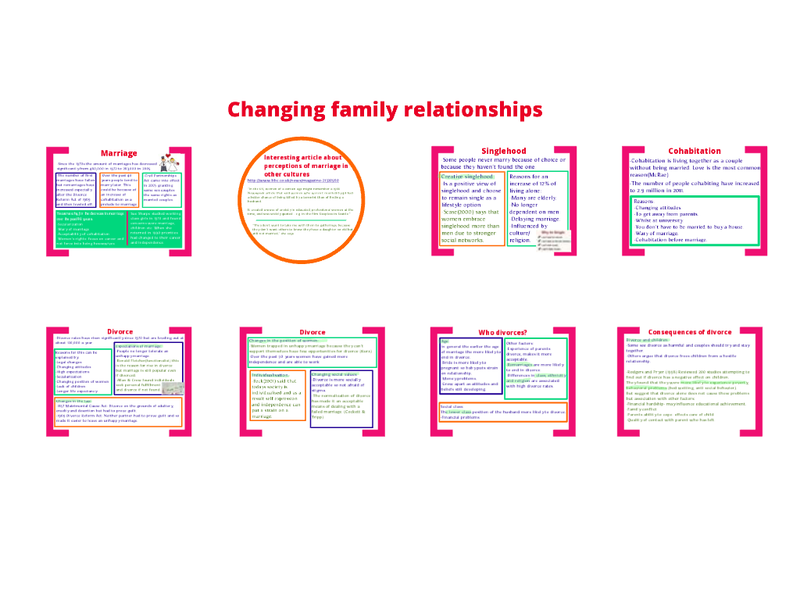 Below you can read about the numerous sociologists who have looked at the complex dynamics of between couples in the family. Elizabeth Bott’s Family and Social Network describes two contrasting types of conjugal roles: segregated and joint. Segregated roles involve a clear differentiation between the tasks undertaken by men and women, with each pursuing clearly defined and distinct activities. 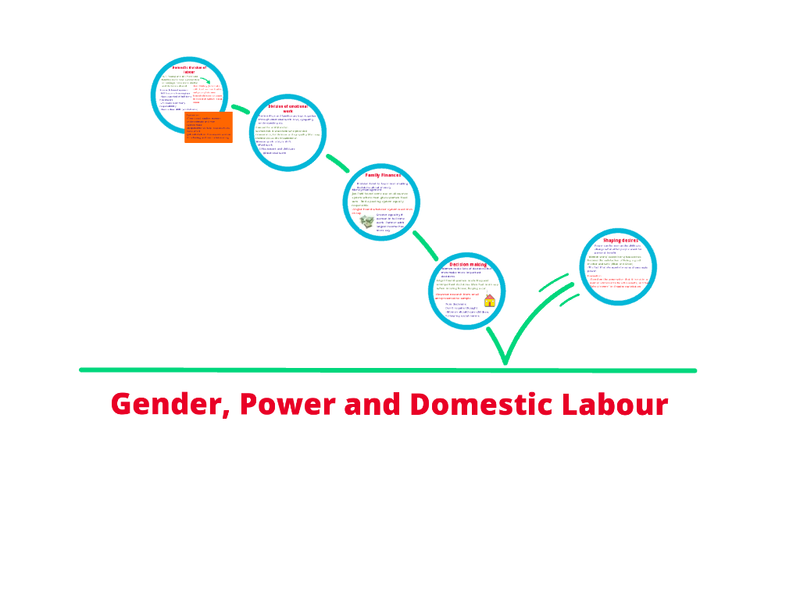 A joint relationship, on the other hand, is one where the differentiation – or ‘division of labour’ – is much less clear, and tasks, interests and activities are shared to a much greater degree. What Bott’s study claimed is that if family members maintain ties with a network of friends or neighbours who know one another, the members of these external social networks can develop norm consensus and exert pressure on the network’s members to conform. Are conjugal roles now less segregated? Wilmott & Young, 1973. Wilmott and Young’s The Symmetrical Family detects a shift in conjugal roles which they see as reflecting a new type of relationship between husband and wife. They detect a movement away from traditional segregated roles towards more joint forms of relationship. The trend originated with middle class families, but increasingly, they contend, working class families have adopted the same arrangement. Who takes care of the housework? Oakley, 1974. Is the husband pulling his weight? Hartmann, 1981. What happens when men don’t work? McKee & Bell, 1986. Linda McKee and Colin Bell explored the effects of male unemployment on families. They found a strong resistance on the part of many of their respondents – both male and female – to the notion of a woman as the main ‘breadwinner’. The men in the study did not feel obliged to undertake housework to any appreciable degree. In fact, this was an attitude that the women themselves reinforced, for fear that their husband’s ‘masculine identity’ – already undermined by the stigma of unemployment – would be further challenged by enhanced domestic responsibilities. Who does the emotional work? Duncombe & Marsden, 1995. Duncombe and Marsden’s research reinforces earlier studies that revealed inequalities in power and domestic responsibilities. They add to this the finding that women believe they make the primary ‘emotional investment’ in the family and marriage. Many of their female respondents complained that their husbands were indifferent to their role in holding the relationship together. 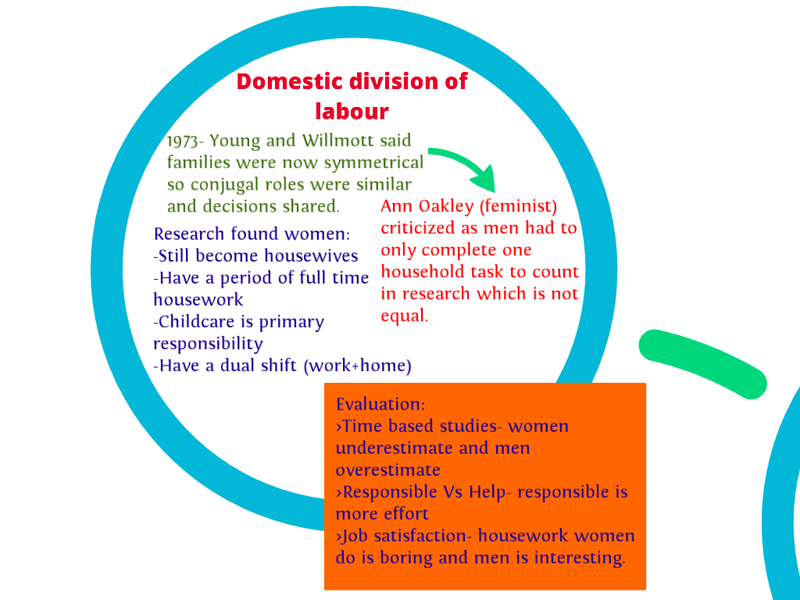 The upshot of this, according to the authors, is that women are frequently saddled with a ‘triple shift’ of obligations: outside work, housework – and emotional work. Within the family it is important to distinguish between major and minor decisions. When the actual decisions were looked at in detail what Edgell 1980 discovered was only about half of the family decisions were taken jointly. The husband dominated the more important decisions like moving house, family finances, and buying a car. The more frequent and less ‘important’ decisions were left to the wife. These decisions tended to be about interior decorating, food management, and children’s clothes. This difference between the power to make major or minor decisions indicates that power is more complicated than just winning the discussion as some groups/individuals can set the agenda relegating an issue from a major to minor one.